There is a new Triumph Tiger coming and we clearly are excited about it. From the teaser video, we can interpret that the 2018 Triumph Tiger will be getting a new design, updated feature list, upgraded suspension and most importantly a new motor based on the 765cc unit used in the new Triumph Street Triple. While there is still some days for the 2018 Triumph Tiger to arrive, we take a look at the evolution of one of the Triumph Tiger, one of the most versatile adventure motorcycles available in the world. The Triumph Tiger 100 was basically an evolution of the Tiger 80 that was manufactured at the company's Coventry factory. Post the WWII, production commenced at the in 1946. The Triumph Tiger 100 recieved new telescopic fork, close finned alloy cylinder barrel and factory race kits for individual racers, all came factory fitted. 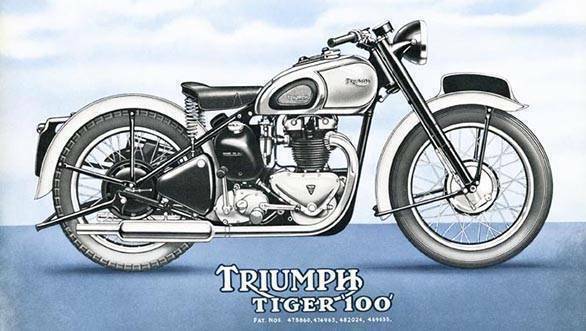 Triumph also made the Tiger 100C which was basically a race kit model, only 560 were made. Triumph introduced the first swinging-arm rear suspension on the Tiger 100 which was then developed further. In the sixties, there were further iterations in the form of T100SS, T100C, T100R. 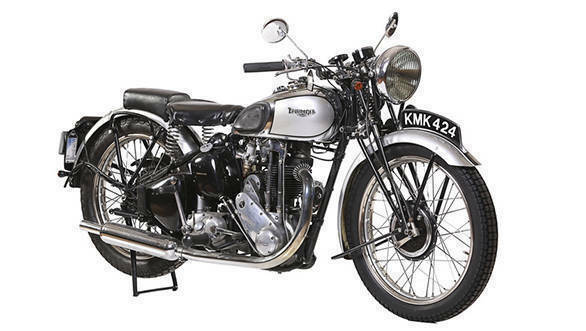 Between the period of 1953 and 1961, Triumph launched the Tiger 110 that was made from the Triumph Thunderbird in 1954. The Triumph Tioger 110 was powered by a 650 cc OHV twin-cylinder motor. 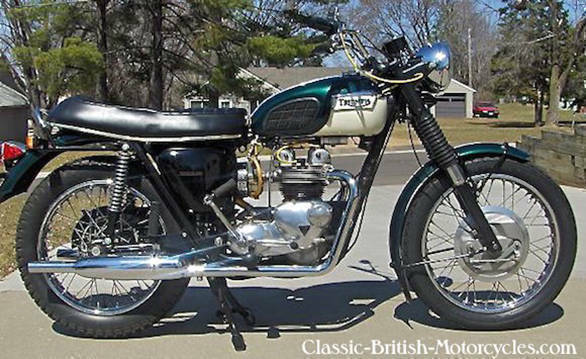 It was an important motorcycle as it was claimed to be Triumph's fastest production motorcycle.However, that title was taken over by the dual carburettor Bonneville T120 in 1959. As the name suggests, the Triumph Tiger was a 200cc compact offering developed on the Triumph T15 Terrier 150 cc. It was styled by English motorcycle designer Edward Turner. 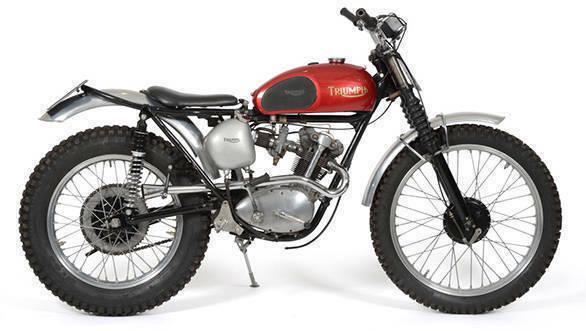 In 1957, the Triumph Tiger Cub received an upgraded rear swinging-arm with twin suspension. There were changes in the powertrain as well in the form of a repositioned ignition points in a distributor device on the crankcase behind the cylinder. However, in 1963 the same was moved to a more conventional location. In the 70s, the name Daytona was added to the Triumph Tiger as a tribute to American rider Buddy Elmore's win at the 1966 Daytona 200 on the Daytona International Speedway in Daytona Beach, Florida. He maxed the Triumph Tiger 100 at a speed of 155kmph. The Triumph Tiger 100 Daytona came with a 500cc motor and was aimed at the popular 500s from Honda. The later models called the Triumph 650 Bonneville and new 650 Tiger got an upgrade in the mechanicals Later in 1983, the Triumph Tiger Daytona 600 prototype was made in the company's Meriden factory. 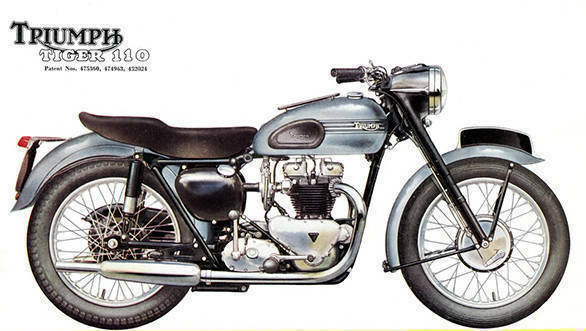 This one was the short-stroke twin-carburettor version of the 650cc Triumph TR65 Thunderbird. When Triumph was getting enquiries to develop a dual purpose motorcycle to take on the BMW R80G/S model, the Triumph Tiger Trail. It was based on the Triumph Bonneville T140. 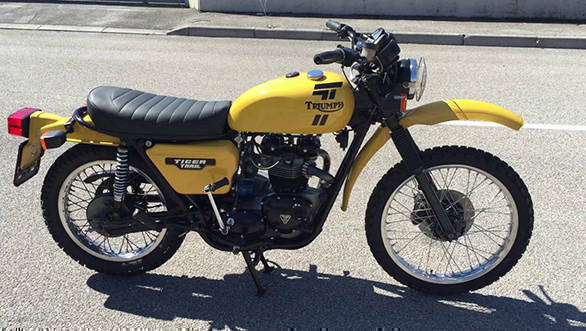 A 750cc model of the Triumph Tiger Trail was showcased at the 1980 Paris motorcycle show and was launched soon after its unveiling. The Triumph Tiger Trail also emerged as a winner in different championships such as the Rallye des Pyrénées and the Paris-Tunis rally. 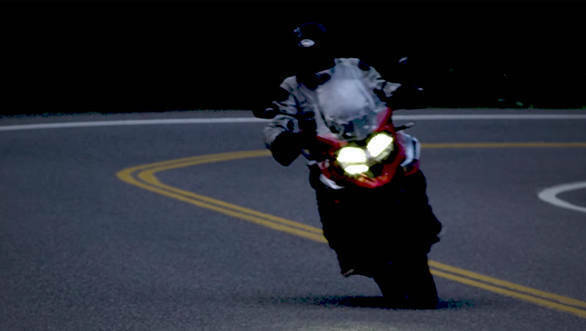 In 1993, the Triumph Tiger 900 was introduced and remained in production with minor improvements until 1998. It was powered by a 885cc, 4-stroke inline 3-cylinder, liquid-cooled motor. The overall height and the riding stance that the Triumph Tiger 900 offered made it a promising adventure motorcycles to look out for. This was ten succeeded by the T709 that came with a fuel injected version of the 885cc engine. 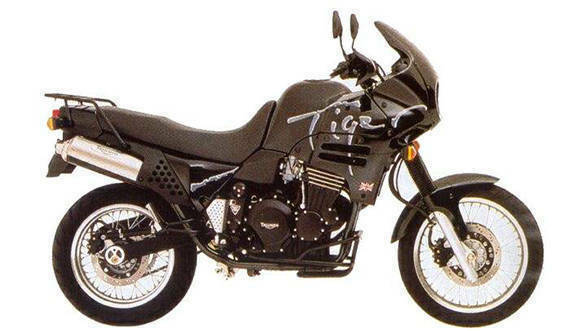 The displacement number was then bumped up to 955cc that powered the Triumph Tiger 955i in 2001. This one was produced till 2006. In 2010, the Triumph Tiger 800 was launched in the international markets. Powering the Triumph Tiger was the 799cc inline-three engine, derived from the smaller Triumph Daytona 675. The Triumph Tiger 800 was offered in both, off-road XC and road biased XR models. The XR comes with cast alloy wheels, with a 19-inch at the front and 17-inch at the back. The Tiger 800 XC has spoked wheels with alloy rims and a larger 21-inch wheel at the front. 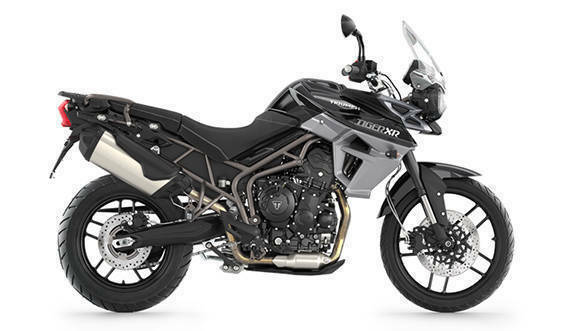 The Triumph Tiger Explorer is a dual-sport motorcycle that was first shown at the EICMA show in November 2011.This one too comes in XR and XC versions. 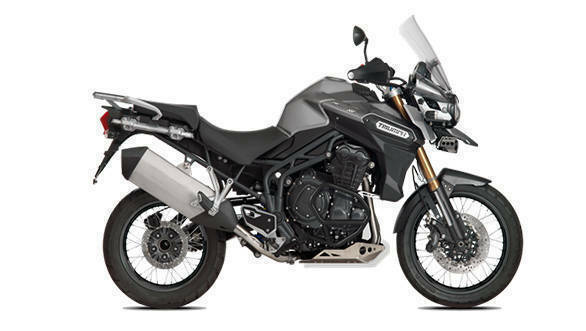 The Triumph Tiger Explorer is powered by a 1,215cc comes with a straight-three cylinder engine with four valves per cylinder and a six-speed gearbox with shaft final drive. It also gets switchable ABS, cruise control, and traction control. Though there is no information on the displacement of the motor, we believe the unit on the 2018 Triumph Tiger might be a 900cc based on the new 765cc triple that comes in the Street Triple range closer in tune with the base model than the RS. The new engine also means the tank volume might be changed from the present form. It is natural to assume that the new motor will be Euro4 compliant, however, since Euro5, that will come into effect from 2020 onwards, we believe the new triple will comply with that as well.